Windsor Castle has been the family home of British Kings and Queens for over 1,000 years. Her Majesty the Queen spends most of her private weekends here. The castle is breath taking, situated on top of a hill, it takes up 5 hectares and is the largest and oldest castle in the world in continuous use. 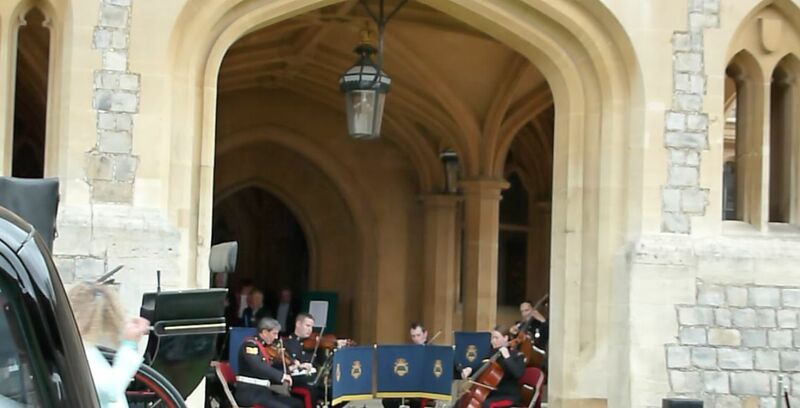 The Concours display of 66 historic cars was in the Castle’s quadrangle in celebration of the Her Majesty the Queen’s 90th birthday and it created a wonderful atmosphere enhanced by a string quartet from the Household Cavalry playing classical music in the entrance to the Queens private apartments. Attention to detail was everywhere; each car had been pains takingly prepared with some cars brought by their owners from overseas especially for the occasion, the elegantly dressed exhibitors and visitors also enhanced the day. The hard cover souvenir catalogue is a standout document with the history and details of each of the 66 cars on display; it will be valuable addition to any car enthusiast’s book collection. The weather was reasonably kind with a mostly fine day. Edward VII’s 1900 Daimler Mail Phaeton by Hooper (this was the first car in the British Royal Family) is part of the Royal collection. 2. 1977 Rolls Royce Phantom VI Mulliner / Park Ward High Top State Limousine (known as Rolls-Royce No. 1) is still in current use by the Royal household. 4. 1800’s Ascot Landau by Hooper by Hooper and is still used by the Queen at annually at Royal Ascot. 1842 Ivory Mounted Phaeton by Barker, this Phaeton was built for Queen Victoria and is used by the Queen annually at the Trooping of the Colour. 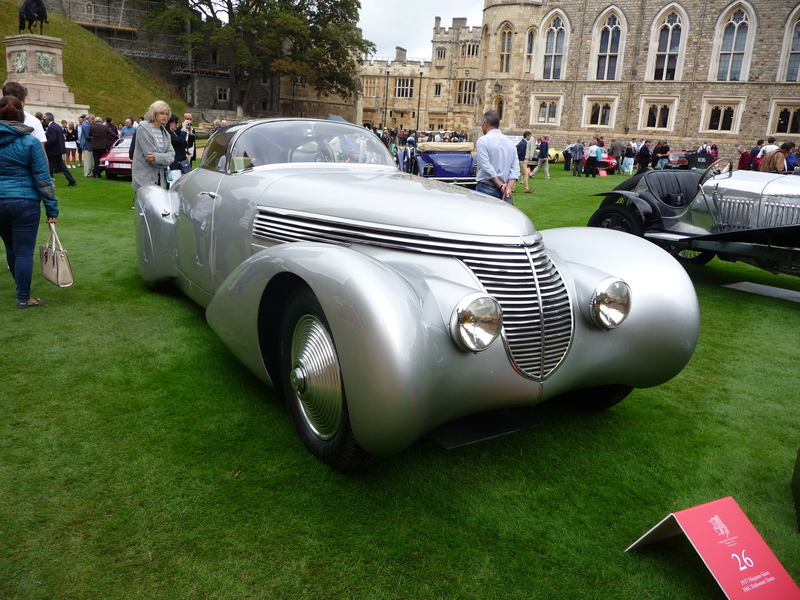 Judges do not pick this award, it is judged by the owners of the cars displayed in the Concours, The Dubonnet Xenia also won Classic Driver Public Choice award. Andre Dubonnet commissioned this car an inventor, racing driver and World War 1 fighter pilot. He used his engineering and aviation background to test the limits of technology. He worked with Antoine-Marie Chedru to patent and develop front suspension system. General Motors and Alfa Romeo took up this suspension system. After the Paris Auto Salon of 1932 Dubonnet purchased a Hispano-Suiza chassis and rather than building a car to meet market needs he designed the Xenia (named after his late wife Xenia Johnson) to show his ideas. The Xenia used independent coil-spring suspension; Cadillac, Oldsmobile and Buick plus some other manufactures took up this system. Deboned chose the H6 Hispano-Suzie engine to power the car and commissioned Jean Andréa to design the coachwork, it was then engineered and built by coachbuilder Jacques Saoutchik. The Xenia featured curved glass and had a panoramic windscreen (this type of glass was not seen again until used by General Motors the 1950’s). The Xenia also used Plexiglass side windows that opened upwards in a gullwing fashion, the doors slid backwards parallel to the body of the car. The car was Dubonnet’s personal car and was hidden during the Second World War and did not reappear until June 1946 when it led the parade at the re-opening of the Saint Cloud tunnel to civilian traffic. The car was purchased in the 1960’s by Alain Balleret, (then President of the French Hispano-Suiza Car Club) who carried out a restoration. The car has been in the ownership of philanthropist Peter Mullin since 2003 and is exhibited in the Mullin Automotive Museum in Oxnard, California. 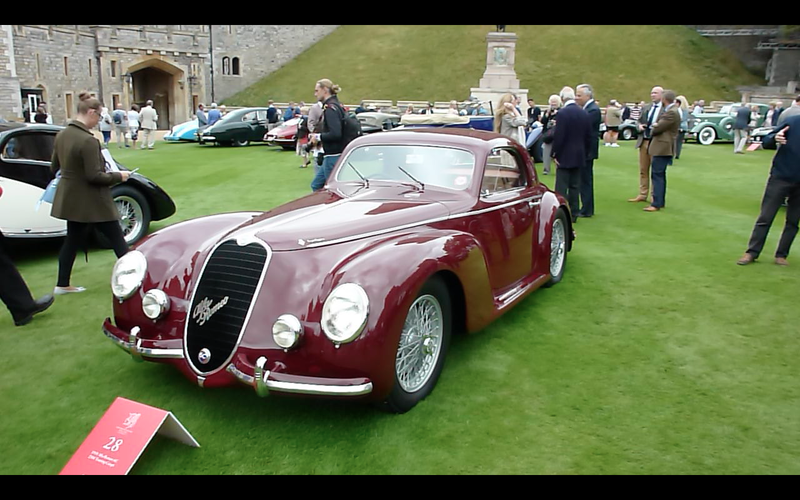 Entry 33 The 1932 Alfa Romeo 8C2300 Viotti Coupe was the runner up. 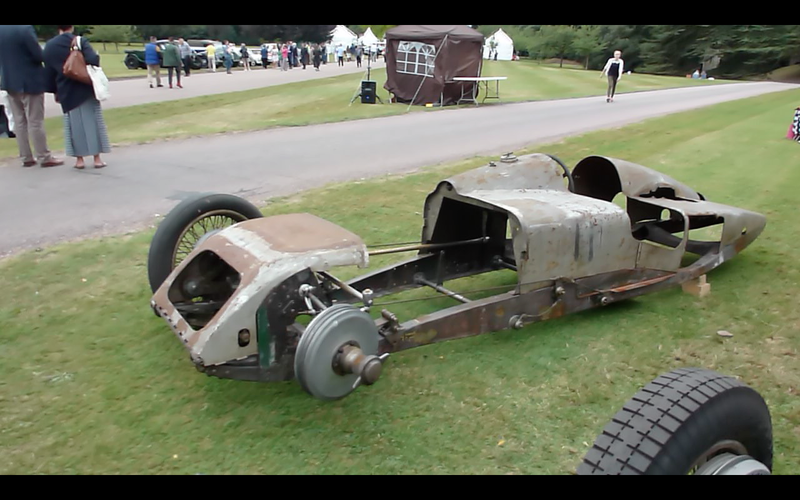 Directly outside the entrance to the quadrangle were 4 cars of the 11 starters at the 1926 Brooklands Grand Prix were displayed including what remains of the J G Parry Thomas Flat Iron Special that he built at Brooklands, a Halford GP Car, a Talbot 700 and a Straight 8 Delage 155B. In addition, also outside the quadrangle there were displays by Bentley Motors showing their latest models, RM Sotheby’s displayed some of the cars from their up and coming midweek auction. P & A Wood the Rolls Royce dealer, (in addition to selling new cars they also restore cars), Range Rover. 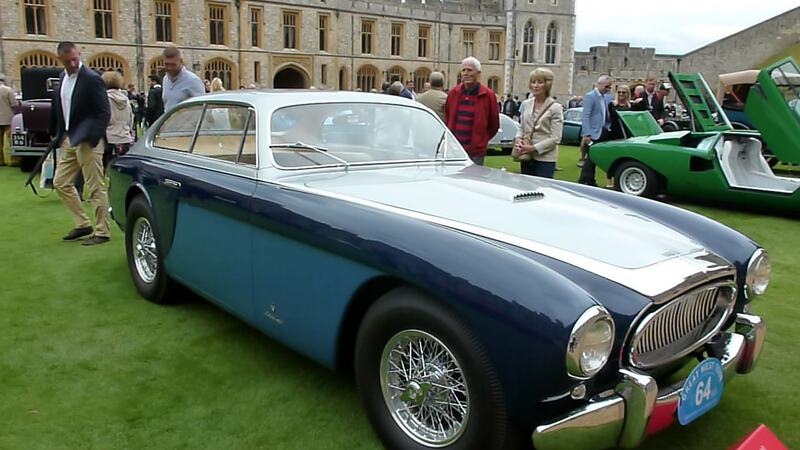 Atalanta Motors displayed their latest car with an older style theme with modern under pining’s that produce high quality and very desirable sports car for the discerning buyer. Through the outer gates and extending almost three quarters of the way down each side of the road Windsor Castle’s great park were almost 1,000 cars on display from various car clubs. Bentley’s old and new made up the majority of the cars on display, Aston Martin, Ferrari, Marcos, Jaguar, Range Rover, Triumph, Mini Cooper S, Alvis and Lotus made up the rest of the cars on display. The Aston Martin Owners Club. The Bentley Drivers Club (More than 100 displayed on the Sunday). 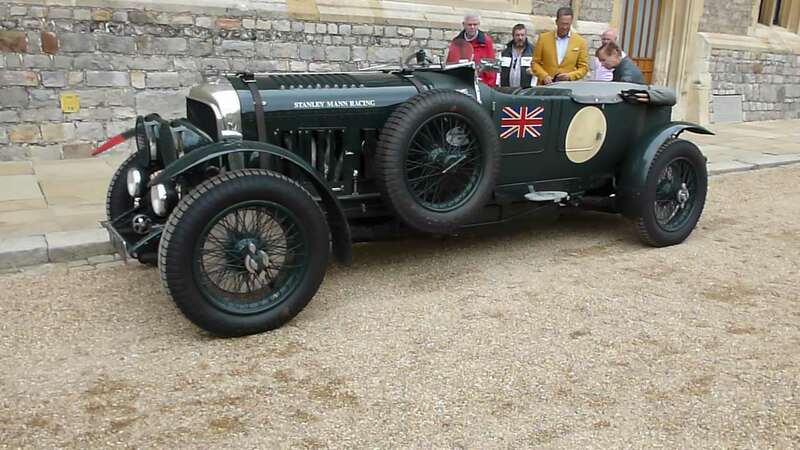 An immaculate Bentley 3 Litre won the winner of the trophy for pre 1965 cars. 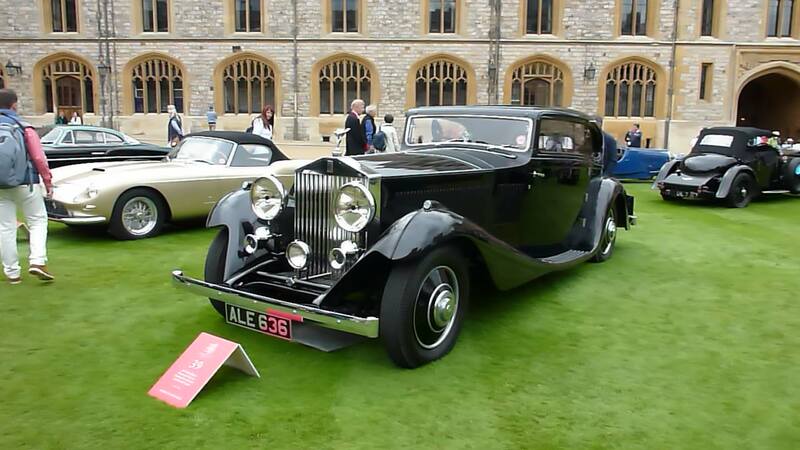 A beautifully prepared Bentley Azure won the post 1965 class the trophy. The Rolls Royce Enthusiasts Club. The Conours of Elegance is an annual charitable event, this year it raised almost 200,000 pounds in donations. Since it’s inception the Conours of Elegance has raised more than 1 million pounds for charity.